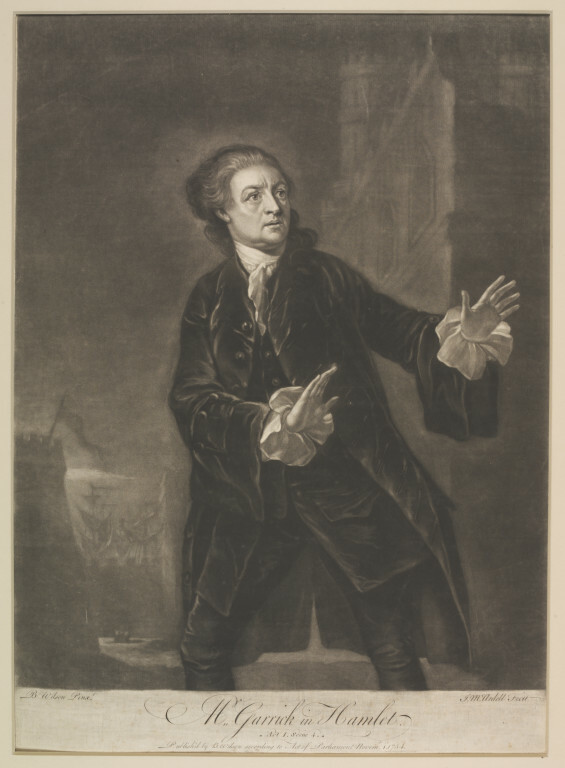 Mr. Garrick in Hamlet, Act I, Scene 4; Half-length, standing. The background representing a castle on the coast, fortifications and ships; Mezzotint print on paper. Mr. Garrick in Hamlet, Act I, Scene 4; Half-length, standing. 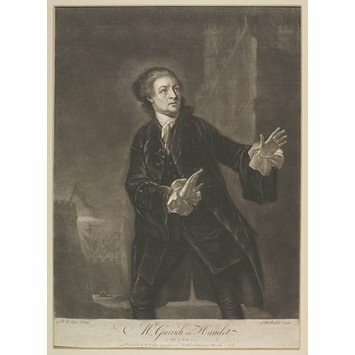 The background representing a castle on the coast, fortifications and ships; After a painting by B. Wilson; Mezzotint print on paper; By James McArdell; English School; Published by B. Wilson, 1754.